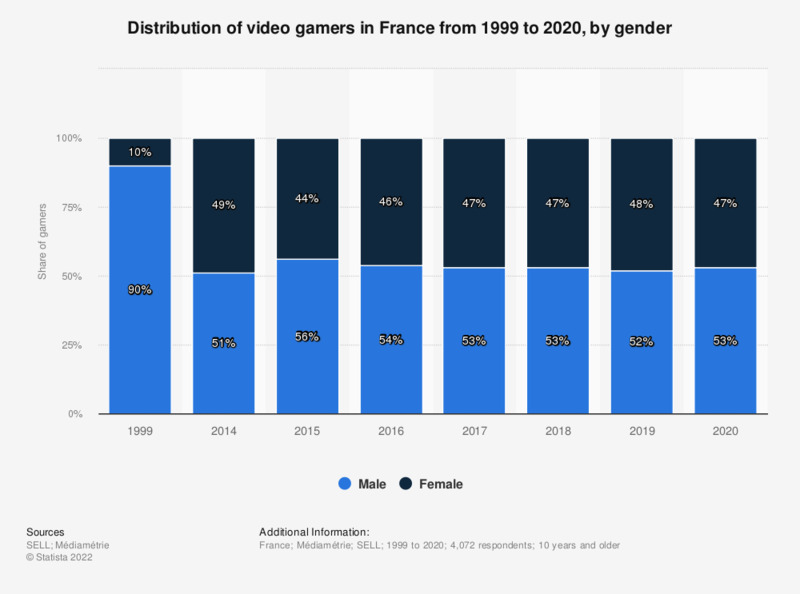 This statistic presents gender distribution of video gamers in France in 1999 and from 2014 to 2017. In 2017, 47 percent of those who stated to play video games at least occasionally were women. Figures for 1999 and 2014 to 2016 published earlier by the source. Do you or your friends play brutal or especially violent computer games, console games or online games?